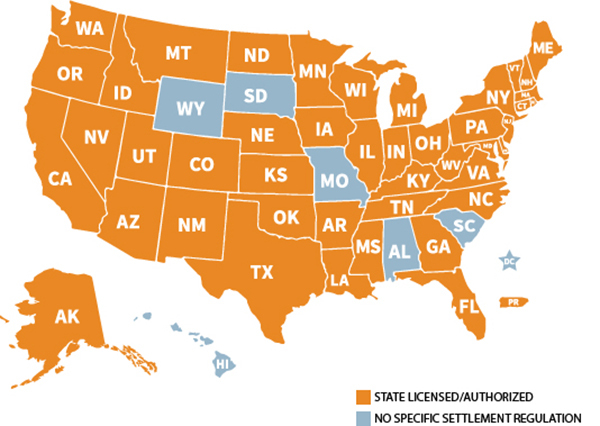 Life Settlements are regulated under the jurisdication of the Department of Insurance in most states. The map below provides a quick summary of state regulations & licensing requirements related to both viatical and life settlements. Over the past decade, the laws and regulations governing life settlement transactions have changed as quickly as the life settlement market itself. Welcome Funds, Inc. employs a fully-staffed compliance department and in-house counsel to address all regulatory issues. Welcome Funds and/or a principal of Welcome Funds is authorized, registered and/or licensed to conduct business in 45 states. 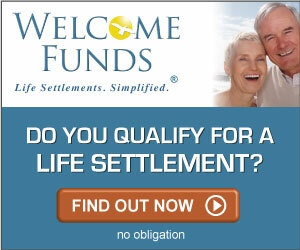 In some cases, where state laws vary, Welcome Funds and/or a member of its senior management team is licensed as a viatical/life settlement broker and/or a life producer. In addition, we confirm the licenses of referring agents to ensure compliance prior to accepting and to finalizing a life settlement transaction. Please contact Welcome Funds for up-to-date licensing information.